Bejoy Nambiar's latest offering, Wazir, Amitabh Bachchan-Farhan Akhtar's Wazir had a good start at the Box-Office. The film raked in Rs 5.57 crore on its opening day - impressive figures considering the niche genre and the release period. The film witnessed an upward trend in collections on the second day - Saturday - where in it collected around Rs 7.50 crore. Being a film mainly appealing towards the multiplexes, a jump on the second day was expected. The film is performing well at the metros, especially high-end multiplexes, and a further jump in collections is expected today. 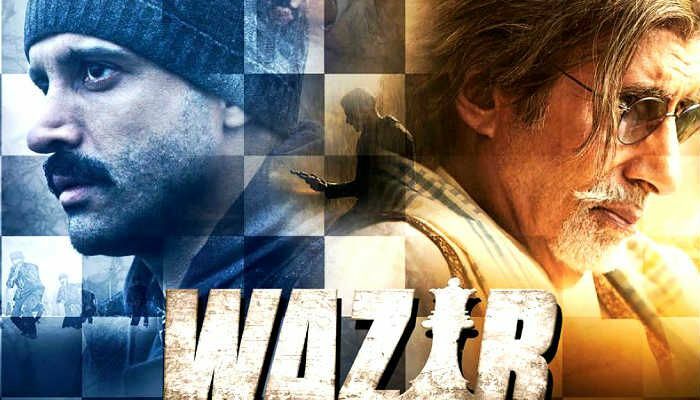 Going by this trend, Wazir might cement its place as the first successful Bollywood film of 2016. Catch had predicted that film would record opening collections of Rs 4 crore, and rake in Rs 13 crore by Monday. However, Wazir has managed to exceed our expectations.